UPDATED: Tue., April 3, 2018, 6:14 p.m.
I’ve never understood this: Why would newly hatched fowl be naturally drawn to home runs? Then again, I used to have a pet alligator who did a body flip every time she saw a sacrifice bunt. In a nation that loves to recycle its pop culture – “Roseanne” is back, with its cryogenically preserved cast – the home run has returned with a bang. If we ever build that wall, it’s a certainty that someone will hit a baseball over it. In 2017, there were 6,105 home runs in Major League Baseball, 412 more than the previous record in steroid-induced 2000. Seventeen of 30 MLB teams hit at least 200 homers last year. Wow. That’s 200 homers over a 162-game season, which sounds like more than one a game, according to my admittedly rudimentary public-school mathematical training. 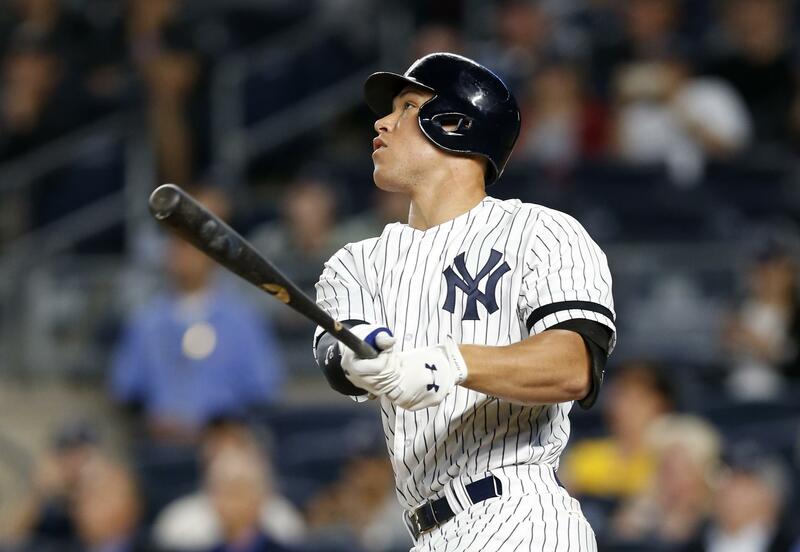 The power surge is epitomized by the New York Yankees. In the middle of their lineup, the Yankees have Aaron Judge, Giancarlo Stanton and Gary Sanchez, who combined for 144 homers in 2017. Heck, their batboy slugged 48 dingers two years ago with the Goodlettsville, Tennessee, Little League team. To better comprehend this homer-happy era, we have Statcast, MLB’s high-speed, automated data tool developed to analyze the movement of every ball and every player. Launch angle is the vertical angle in which the ball leaves the bat. If launch angle were around in the 20th century, NASA probably gets to the moon 15 years earlier. Note: Improper launch angle nearly ended my second honeymoon. Vector classifies the horizontal launch direction of the batted ball into five equal zones of 18 degrees each; Wisconsin’s voting districts are divided along these same precepts. Projected HR distance calculates the distance of the projected landing point on over-the-fence home runs. This is comparable to “actual HR distance,” just not quite as accurate. Frankly, everything after launch angle is statistical debris. Launch angle is the key to hitting homers. Launch angle keeps increasing. It’s the cryptocurrency of baseball. When I was courting Toni, aka She is the One (And Then Some), I wooed her with a two-pronged approach: mushroom risotto and launch-angle data. In its 2018 baseball preview issue, Sports lllustrated devoted 12 pages to a launch-angle story by Tom Verducci. SI – always a cutting-edge company – reportedly is considering replacing its 2019 swimsuit issue with a launch-angle issue. Verducci wrote, “Last year players struck 41 balls at a 13-degree launch angle with at least 90 mph exit velocity.” I wrote this down – I didn’t think I could memorize it – rushed out to a singles bar and got two dates within 30 minutes. Launch angle confirms something my fourth-grade friend Victor Littman told me in 1968: If you hit the ball in the air, there is a better chance of it leaving the park than if you hit the ball on the ground. I just want to know if Statcast data tracks Jose Bautista’s bat flips. A: Three minutes is an eternity – I generally go with instant ramen noodles and have Daisy lick my face. A: Just go all in. A: As the proud stepdad of a soon-to-be Le Moyne College grad, I salute you. A: I’m not even pretty enough for a podcast. Published: April 3, 2018, 5:39 p.m. Updated: April 3, 2018, 6:14 p.m.